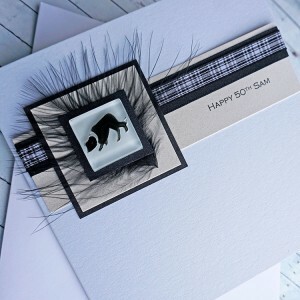 Handmade Birthday Cards for Dog and Cat Lovers! 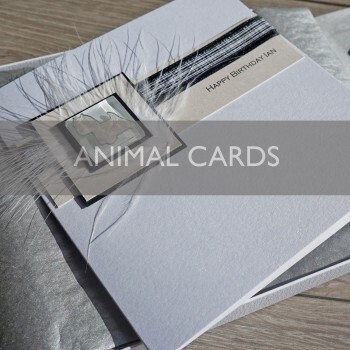 A collection of hand crafted cards featuring hand painted dogs amidst lovely pearlescent cards, satin ribbons and feathers. 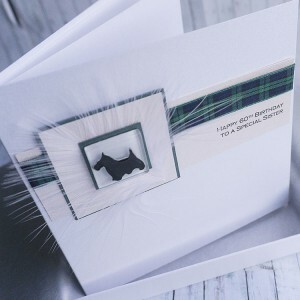 All of our dog lovers cards; border collie, westie, dalmatian, Labrador etc, can be personalised for any special occasion and all designs can therefore be adapted for other occasions, not just for birthdays. 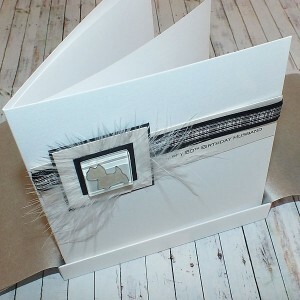 Why not congratulate a friend on an agility win or breed show success? 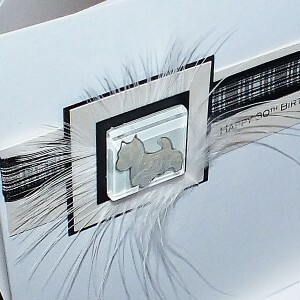 Other dogs can be painted - contact us with requests for other breeds! 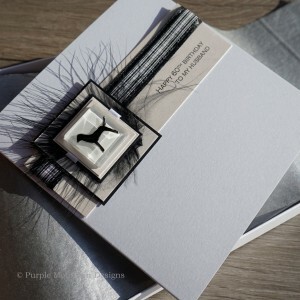 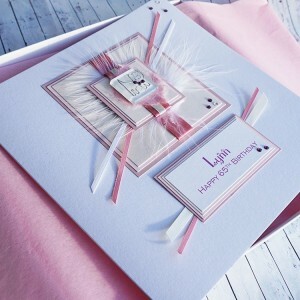 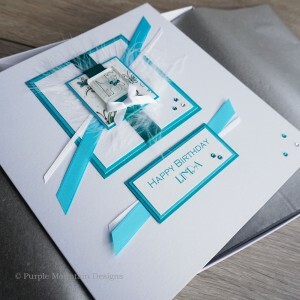 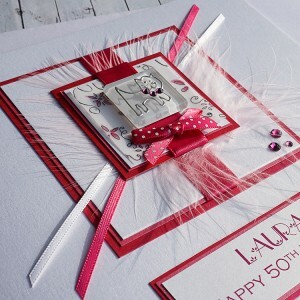 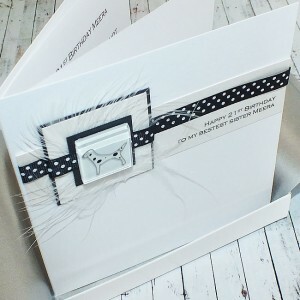 Handmade cat birthday card "Diamonte Cat" for mum, sister, daughter, friend Our popular cat b.. 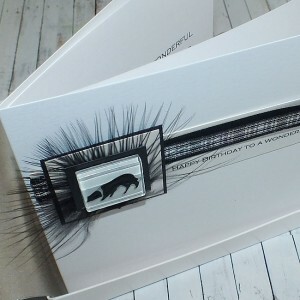 Handmade cat birthday card "Turquoise Cat" for mum, sister, daughter, friend Our popular cat ..
Boxed Handmade Border Collie Birthday Card A Black & White Border Collie dog hand painted..
Boxed Handmade Westie Birthday Card A West highland Terrier dog hand painted onto a glass til..
Boxed Handmade Labrador Birthday Card A Black Labrador dog hand painted onto a glass tile and.. 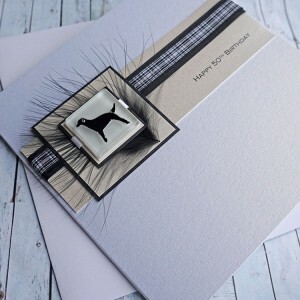 Handmade Birthday Card Scottie Dog A Scottie Dog hand painted onto a glass tile and mounted o..
Dalmatian Birthday Card for Dad, Brother, Mum, Sister A Dalmatian dog hand painted onto ..